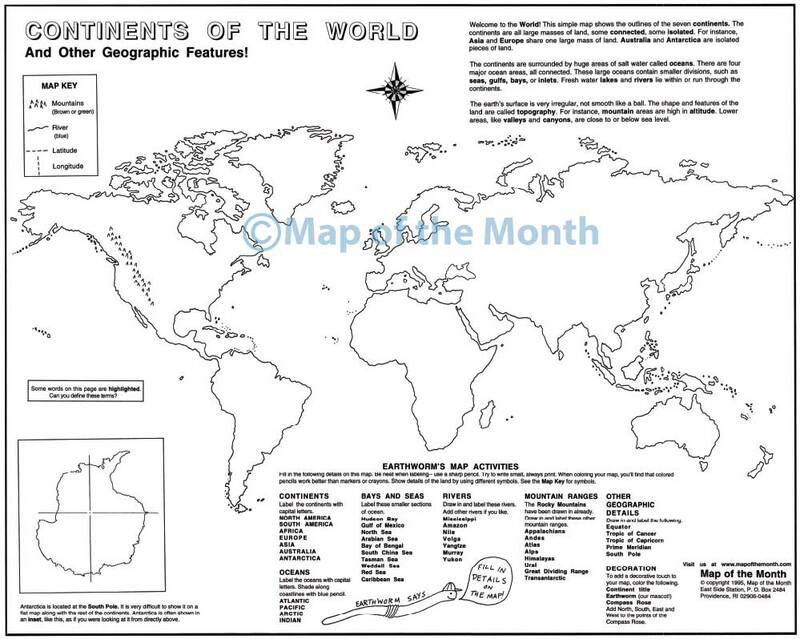 Activities included on the map– use with “on-map” activities or your own lesson plan. This map shows the outlines of all the continents. Antarctica is shown separately in an inset. Inspire students to see the physical features of the continents, not just their names! Designed with grades 1-6 in mind, but higher grades have found this map useful as well! 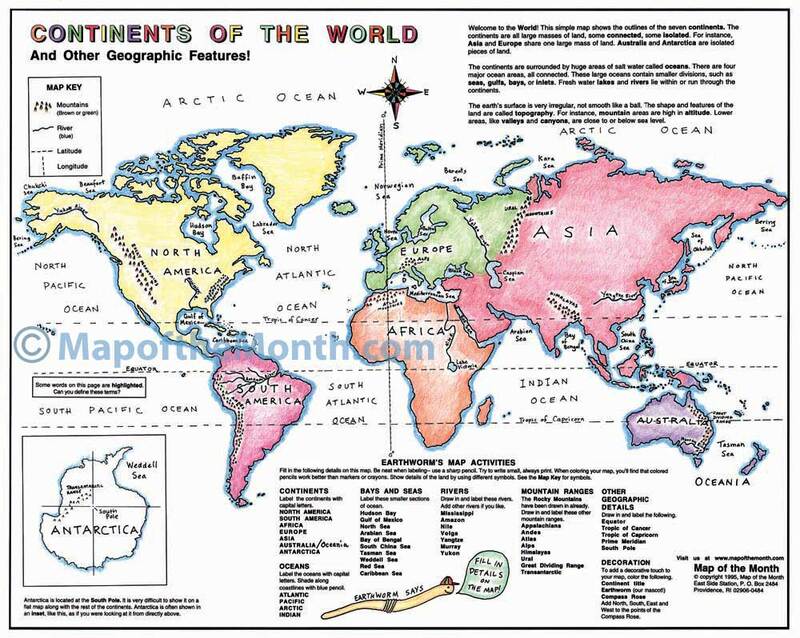 Be the first to review “Continents of the World Map” Click here to cancel reply.